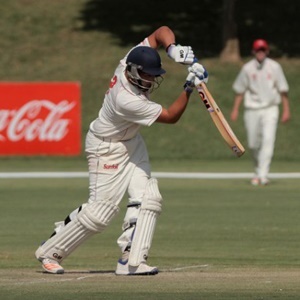 Cape Town - An unbeaten 70 by Wiaan Mulder highlighted a gloomy second day of the Sunfoil Series clash between the Highveld Lions and the Dolphins at the City Oval in Pietermaritzburg on Saturday. Only 26 overs were sent down as a combination of drizzle and bad lighted meant that the visitors only managed to progress from their overnight 202 for five to 277 for seven. Rising star Mulder, who was in the Proteas squad as a standby player a few weeks ago, continued to enhance his reputation with another impressive display. His 146-ball innings included five fours as he helped Rassie van der Dussen, who made 75 (188 balls, 10 fours), add 110 for the sixth wicket. Calvin Savage then struck a double blow by dismissing Van der Dussen and Mangaliso Mosehle (nought) within the space of three deliveries. But Bjorn Fortuin (14) and Mulder ensured there was no further drama before an early lunch was taken. That also ended the day early with the inclement weather meaning no return for the players.